Many OverDrive titles, both audiobooks and eBooks, can be read directly on your computer. For the best experience, ensure that your browser is updated. Access your current Bookshelf with your library card number and PIN, or a linked Facebook account. For security, users will be prompted to log in each time they visit the site. Remember that there are also apps, or software, designed for Windows and Mac computers! Find them on the Meet Libby app page or OverDrive app page. 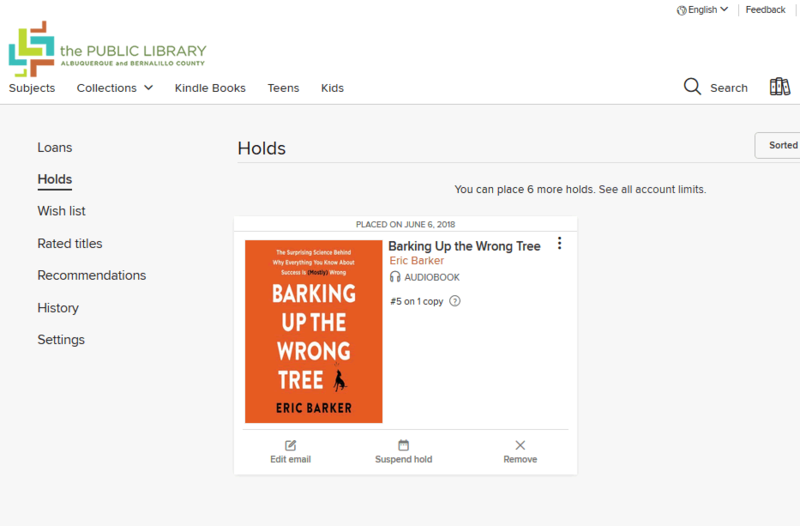 Log in at the Login to OverDrive site using your library card number and PIN number, or create an account using an email address and password (which will then be associated with your library card number). Discovery is a search tool that includes all of the Public Library's print resources, encyclopedia articles, eResources and will link you directly to the platform website for checkout or to place a hold. To find only OverDrive results, enter a search term and click block on the right-hand side of the screen to open a new window. Alternatively, simply include the word "overdrive" in your search string to see results available on OverDrive. Use the link Access Online to open in the OverDrive platform and use your library card number and PIN to log in. Books from OverDrive are also listed in the online catalog. Use the dropdown to the right of the search box to limit to eBooks or eAudiobooks. This result set will include all of our digital content for these media types, items will have the link Access Additional Electronic Resources (you can see if is from OverDrive by hovering over the link with your cursor). Search directly in OverDrive while logged in! 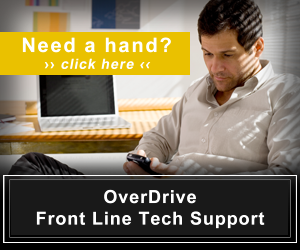 You can also search all of our content and browse collections while on the OverDrive webpage. Only content available to the Public Library users will be shown. We may have other resources from different vendors, so Discovery is a great option to find everything we have from an author or related to a certain subject. While browsing on the OverDrive site, all titles will have a small banner on the item image which reads Available or Waitlist. For Waitlist items, click on the item image and then use the Place Hold button to check out once available. 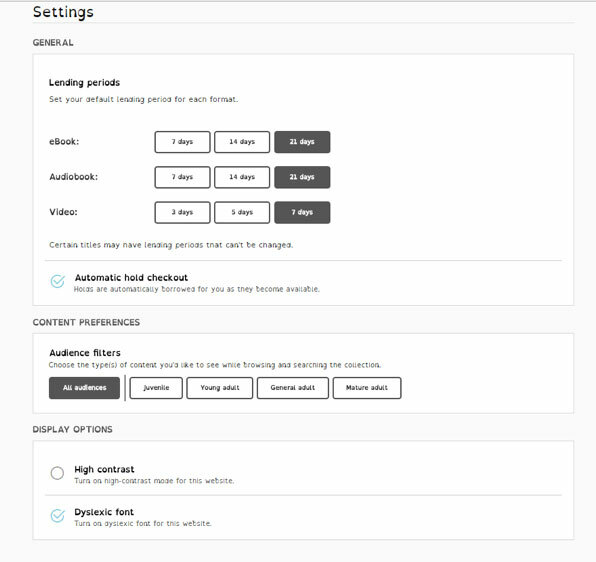 Once returned (adjust settings to turn off automatic checkout), the book can be checked out automatically or an email will alert the user that it is available, depending on user settings. Once logged in, see your Holds and Wishlist with the menu on the left-hand side of the screen. We have a separate device profile for Kindle Fire tablets, which are compatible with more digital formats. Remember that some Kindle Books from your library (including many picture books, read-alongs, and graphic novels) aren't compatible with Kindles. There is also a Libby app for Kindles! Open the Public Library's digital collection. Find a Kindle Book to borrow. You can easily see all of your library's Kindle Books by selecting the Kindle Books link near the top of the site (or under Menu icon on mobile devices using an Internet browser). Select Borrow. If prompted, sign into your library. After you borrow the title, select Read now with Kindle. 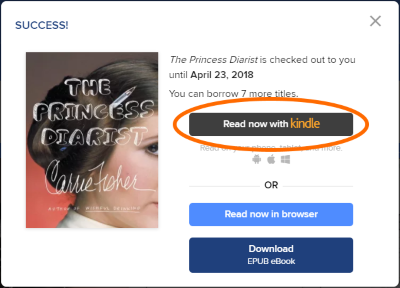 You'll be taken to Amazon's website (with login credentials) to complete checkout and send the eBook to your Kindle device or reading app. 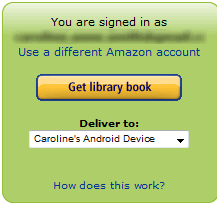 Select a device or reading app from the "Deliver to:" drop-down menu, then select Get library book and the item will be sent to your Kindle device or reading app. You must complete this step for the book you borrowed to appear in the "Your Content and Devices" list in your Amazon account. If the book does not appear in this list, you won't be able to download it on any device. Note: Your Kindle eReader must have a Wi-Fi internet connection to download library Kindle books from Amazon, or it must be done via USB. If you want to read the eBook on a different Kindle device or app, you can deliver it again from Amazon's website during the lending period. Standard typefaces are often difficult to read for people with dyslexia as the letters are hard to differentiate and words tend to jumble together. Dyslexic fonts provide greater contrast in letters which solves this problem. Your digital library website and your app (OverDrive and Libby) feature a dyslexic font option, making determining letters much easier so readers can focus on finding and enjoying their next great read. As always, you can also adjust the spacing, font size and screen color to make your reading experience more enjoyable.